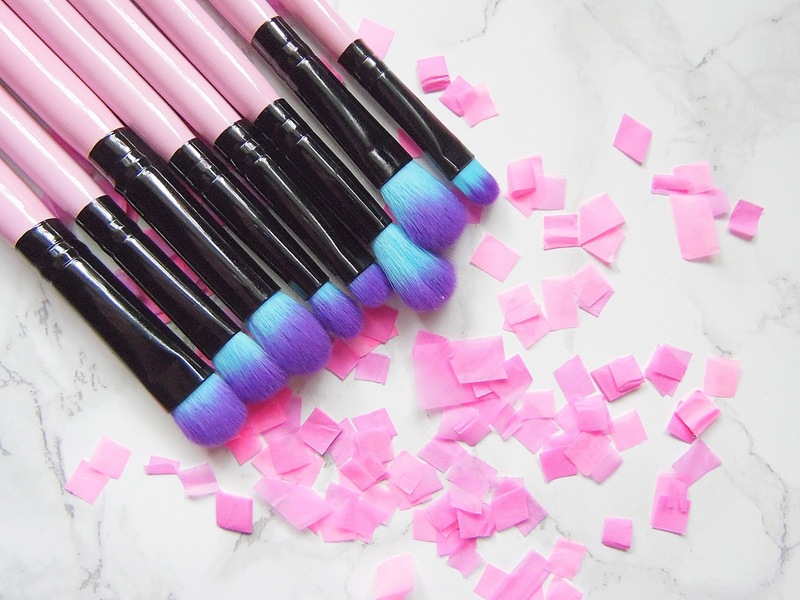 Are these not the prettiest and most gorgeous makeup brushes you have ever seen?! I am in love with them. Not only are they pretty to look at but they are some of the best eye brushes I have used in a while. I got one of the Spectrum Collection brushes a few months ago in a Birchbox and was so impressed, I still use that brush every single day without fail so I was excited to try out some of the eye brushes. I can't get over how pretty these makeup brushes are - I want to replace my whole brush collection with Spectrum's brushes because they are stunning! 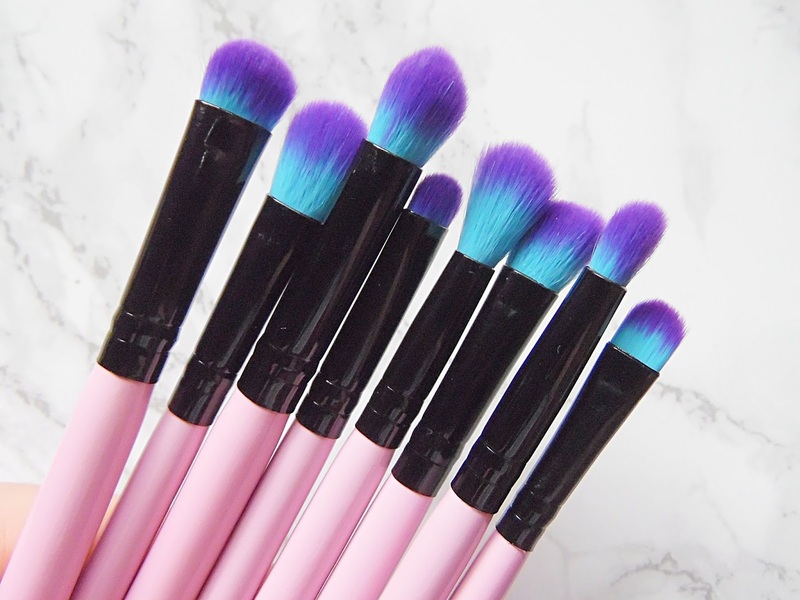 These brushes have gorgeous pink handles with black ferrules with stunning blue to purple ombre tops. On each of the handles of the brushes is the number of the brush, I am glad Spectrum have done this as you can look on the website to see which brush is for what recommended use. I am so impressed with how soft these brushes are as well, they are some of the softest brushes I have in my collection! This set has every eye makeup brush I could ever need. 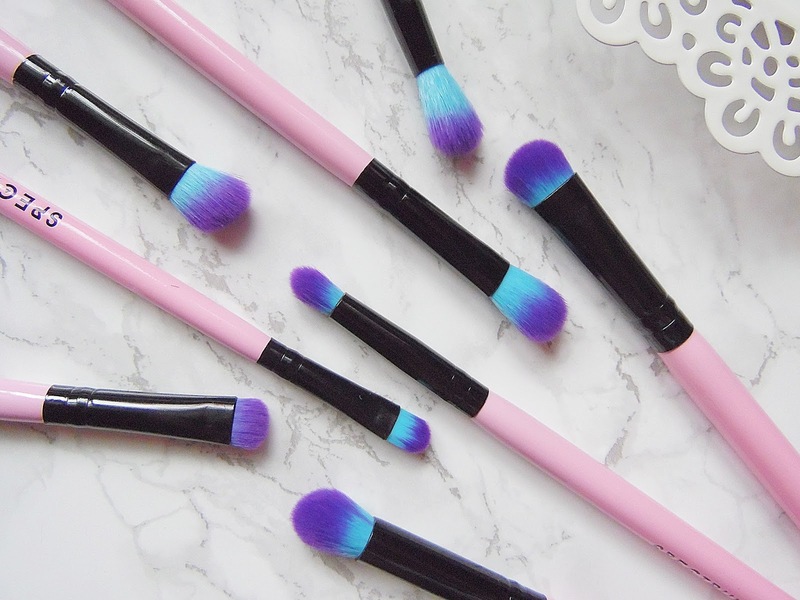 There is a good mixture of fluffy brushes and dense brushes so I can create so many different looks with them, I honestly haven't used any other makeup brushes for my eye makeup since these arrived! My favourite brushes at the moment are the B06 which I have been using to apply and blend out shadow in the crease, the A07 to apply colour to my lid, the A13 which I have been using to apply highlight to my inner corner and the C06 which I really like to apply brow bone highlight. These brushes are great to apply the Colourpop eyeshadows too, hardly any of my other brushes work well with these shadows! I am obsessed with these brushes from Spectrum and I can't wait to get some more, I love the look of the fan brush so I think that will be in my collection in no time. 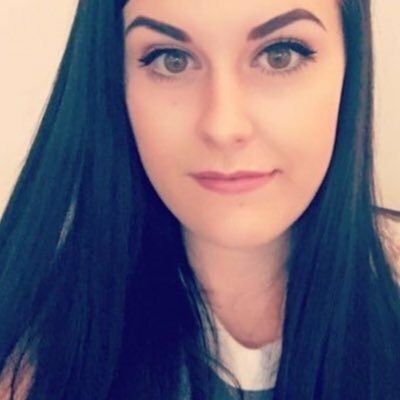 The Spectrum 8 Piece Eye Blending Set retails for £29.99 - HERE.